Hide.me virtual private network (VPN) service is a great option for customers who are serious about retaining anonymity on the Internet. Anybody with a real desire for anonymity in the modern world of Internet hackers and eavesdroppers has to become proactive and adopt cloaking of some kind. The Hide.me VPN plans are available in three options: a limited and free VPN, budget priced Plus package, and the more expensive Premium plan.Customers registering for the free service only have the option to connect to two server locations, while the Plus plan provides all 20 server locations but data transfer is limited to 75GB monthly. Customers signing up for the Premium plan have the option to connect simultaneously via five devices and receive unlimited monthly bandwidth and data transfer. A free web proxy service is also available with all three plans, so customers won’t suffer any slowdown in speed if they just want to unblock censored sites and TV services. 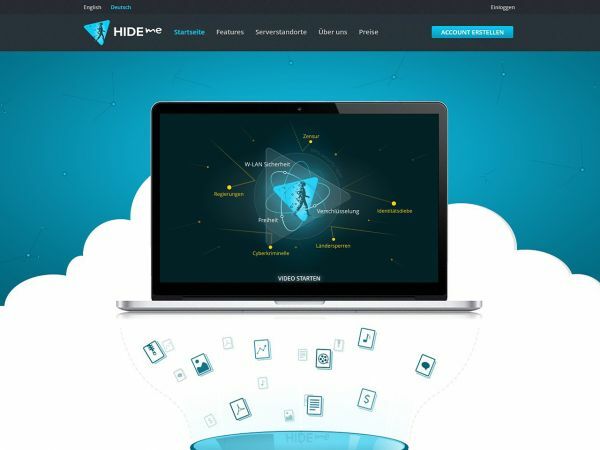 Connecting to Hide.me is an easy matter as the company website provides tutorials available for setting up with PCs, Mac, Android and iPhone/iPad. The website also gives details on the best protocols to use. Hide.me VPN works with all of the latest protocols, including IKEv2. The Hide.me servers are solely operated by Hide.me, so no other operators access any of the company’s 20 server locations. Servers are situated across America and Canada, in various locations within Europe and in other worldwide locations. Where customers face geo-restrictions accessing websites and TV services, it’s just a simple matter of using the free proxy service or signing into the VPN via locations such as the UK or America and unblocking all censored and restricted services. The company website also provides indications of server availability for each server location so it’s possible to connect to the least used servers each time a customer logs in. Security on the Internet is a very important issue to Hide.me so they guarantee they keep no logs at all of user activities. They state that it is impossible for anybody to access the IP address of any customer and that includes themselves. Some VPN providers do pass user activity logs to government agencies across the world when requested to do so, however it is impossible for Hide.me to pass information of this nature on because they do not retain such details. Hide.me is a popular choice for any VPN customer and the free plan makes it easy to trial out the service prior to signing up for a monthly package.